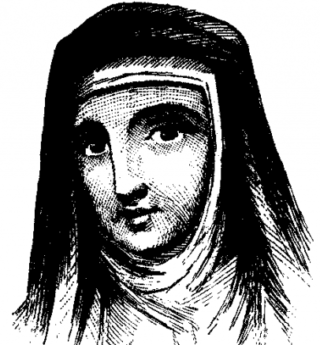 Juliana Berners (or Barnes or Bernes) (born 1388), English writer on heraldry, hawking and hunting, is said to have been prioress of the Priory of St. Mary of Sopwell, near St Albans in Hertfordshire. She was probably brought up at court and, after she adopted the monastic life, she still retained her love of hawking, hunting and fishing, and her passion for field sports.She is the supposed author of the work generally known as The Boke of Saint Albans, of which the first and rarest edition was printed in 1486 by an unknown schoolmaster at St Albans. There is no such person to be found in the pedigree of the Berners family, but there is a gap in the records of the priory of Sopwell between 1430 and 1480. De Worde’s edition (fol. 1496), also without a title-page, begins: “This present boke shewyth the manere of hawkynge and huntynge: and also of diuysynge of Cote armours. It shewyth also a good matere belongynge to horses: wyth other comendable treatyses. And ferdermore of the blasynge of armys: as hereafter it maye appere.” This edition was adorned by three woodcuts, and included a Treatyse of fysshynge wyth an Angle, not contained in the St Albans edition. Joseph Haslewood, who published a facsimile of Wynkyn de Worde’s edition (London, 1811, folio) with a biographical and bibliographical notice, examined with the greatest care the author’s claims to figure as the earliest woman author in the English language. He assigned to her little else in the Boke except part of the treatise on hawking and the section on hunting. It is expressly stated at the end of the Blasynge of Armys that the section was “translatyd and compylyt,” and it is likely that the other treatises are translations, probably from the French. Only three perfect copies of the first edition are known to exist. Please also see Jennifer Ayto post: The First Book On Fishing – From The Times Newspaper, 5 September 2016.